Healing is the actual process that occurs for a person who pursues holistic wellness or ‘wholeness’. Where the approach would be the ideals, principles and modalities used, the healing would be what is created by doing the approach. It is a modality that involves how your being functions mentally and physically on its deepest levels. Levels such as the function of systems in the body that operate outside of our consciousness like the immune, circulatory and neurological systems. It involves optimizing that part of your being that operates those systems, which essentially boils down to cell to cell communication. It is scientifically proven that we can reprogram ourselves all the way to this cellular level. This takes time and sometimes great effort of course but well worth it. Unwanted programming of ourselves can start when we attempt to shield ourselves mentally and emotionally from the sometimes chaotic world in which we live. This concept is known as burying and stuffing our feelings and can begin on a subconscious level starting from when we are very young. Reprogramming cellular communication with energy healing has to do with addressing our energetic dysfunctions which can manifest into physical ailments. Energy healing is an exciting and introspective aspect of the holistic approach to health and wellness. Full of greater self-understanding, rewarding moments and reformed compassion for self and others. It is a true miracle every time and one that we may take for granted. It is a scientifically proven fact that at our core as human beings we are simply a collection of cells. We are atoms, protons and electrons which are pure energy. Energy healing seeks to reach this level (and deeper) and improve the quality of cellular communication thereby improving the physical manifestation of the body. Ailments, disease and undesirable circumstances are rooted in this energetic body, according to the energy healing practitioner, who is trained to manipulate and optimize this energy that allows the body to better heal itself. Healing is a multifaceted term that can mean a wide variety of things. Essentially it involves bringing something from dysfunction or discord back into functionality. Discord and dysfunction (things that need to be healed) could be in any part of the physiological, emotional, mental or spiritual aspects, and in the past, present, or future. These parts are inextricably interconnected and interdependent, meaning that dysfunction in one aspect of the being can and will have implications that are manifested in other areas. For example someone might have an emotional difficulty triggering a mental issue such as stress thus causing a physical ailment. This interconnectedness of our being is becoming common knowledge and why holistic practitioners seek to treat the root cause of the health issue by natural means which in this case would be the emotional difficulty. Once the emotional difficulty is addressed and dealt with properly, the mental issue subsides and then the physical ailment will be diminished. This is also the main difference between many holistic concepts of wellness and the western traditional medical ideal of treating symptoms with medications. Pharmaceutical medications typically only address the physical ailment. However, if the underlying emotional issue isn’t addressed then the need for medication will always continue and the problem will never completely be solved. This is the idea behind treating the symptom and not the person. When you view health holistically there is more to address than the immediate physical ailment. This is also the place in holistic health care where energy healing comes into play in a big way. Many holistic modalities include energy work such as yoga, acupuncture, and meditation which may include energetic concepts such as raising kundalini, chakra balancing and increasing energetic flow. However, the true energy healing modalities such as reiki, pranic healing and quantum touch are where the practitioner you seek is considered a holistic healer. Energy healing in its various forms, as it is practiced and applied by a qualified practitioner guides powerful life force energy, also called chi or ki through the entire being and aura. This causes healing at the cellular level in the body, energy field and the mind thereby raising consciousness and awareness. It is these shifts in vibration and cellular frequency being created inside that cause personal transformations as well as healing. This is a very important aspect of energy healing. It is not like healing a broken leg or wound it is energetic healing on the energetic aspect of the body. Which involves cellular communication, chi and life force energy. As mentioned human cells aka energy are scientifically proven to be influenceable, which is the crux and pillar that energy healing stands upon. Healing this part of the being means reprogramming and enlivening the body energy at the cellular level, which attunes the body’s frequency and raises consciousness. This is the literal meaning of raising your vibration and creating good vibes. Healing in this way creates more than just a temporary balance but over time a complete restructuring of the connection between body, mind and spirit which is the foundation of holistic wellness and being whole. Holistic wellness is a deeper level than the appearance of ‘healthy’. A person can have the appearance of health by western world standards yet horrifically and unexpectedly have a diagnosis of cancer. Energy healing involves creating an environment in your being where disease can’t exist. As already mentioned cells can be influenced by how we consciously or unconsciously communicate to them. This is a growing field in the western world and much is still developing with these concepts. It appears that ancient traditions and holistic medicine practices of the past were more in tune with the interplay of energy in the body and its effects on holistic wellness. The search for healing and the creation of a harmonious inner environment in the being can prove elusive, however. It is not a quick fix but a more permanent solution involving raising consciousness and positive vibrations by purely natural means. It might be best described as a quest or journey. From a spiritual point of view, the over arching goal of energy healing is to discover and unleash all the magic residing in the body’s cellular energy that has been there longing to come alive and express itself. This helps to release negative inner thought constructs that attempt to constrict and say that total wellness is not possible. Gradually one can begin to open and unlock unused potential and come into better alignment with their truest self expression called the higher self. The end result is that the world and universe respond to the more positive energy that is given off from you that will only increase over time as energy healing is continued. Explore the world of energy healing and discover power, clarity, hidden talents, compassion, and remarkable self assurance that cause a total loss of limitation. Energy healing is an ever-growing category with estimates in 2016 showing that more than 40% of adults had used complementary alternative medicine in some form, which includes energy healing. People seek energy healers for a vast array of implications from the serious illness to the quest for greater self-knowledge and wholeness. 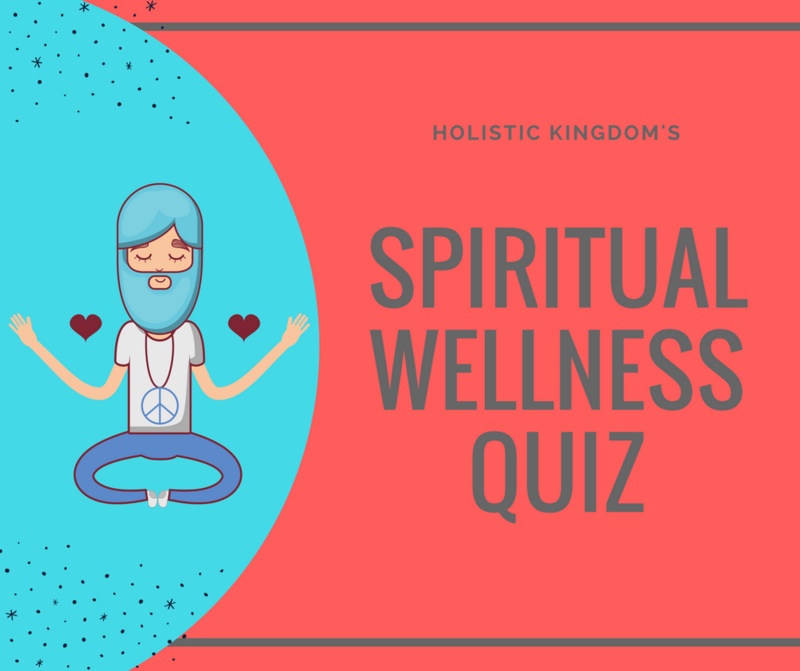 Measure Your Spiritual Wellness…Take Our Quiz! Reece K1, Schwartz GE, Brooks AJ, Nangle G., “Positive Well-Being Changes Associated with Giving and Receiving Johrei Healing“. J Altern Complement Med. 2005 Jun;11(3):455-7. Targ E1., “Research Methodology for Studies of Prayer and Distant Healing“. Complement Ther Nurs Midwifery. 2002 Feb;8(1):29-41. Green Lotus, “Reiki Really Works: A Groundbreaking Scientific Study”.